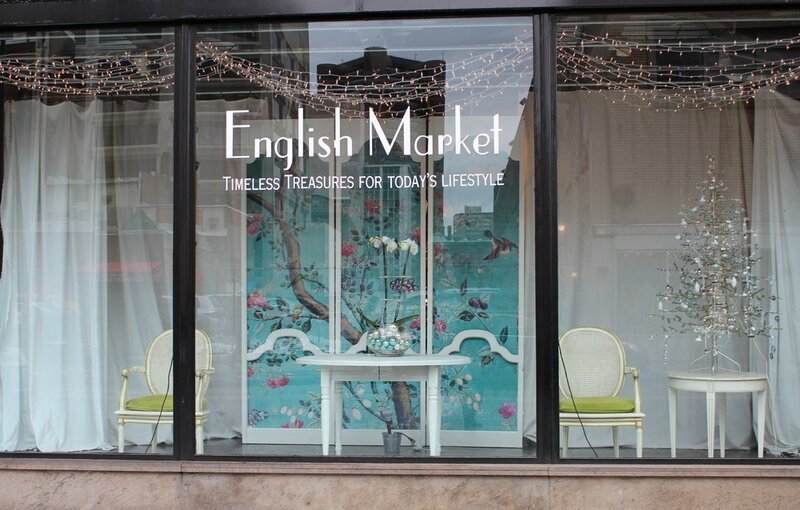 Our new front window display combines the white of New England wintertime with the glorious blooms of giant orchids and the green and blue of striking vintage floral graphics. 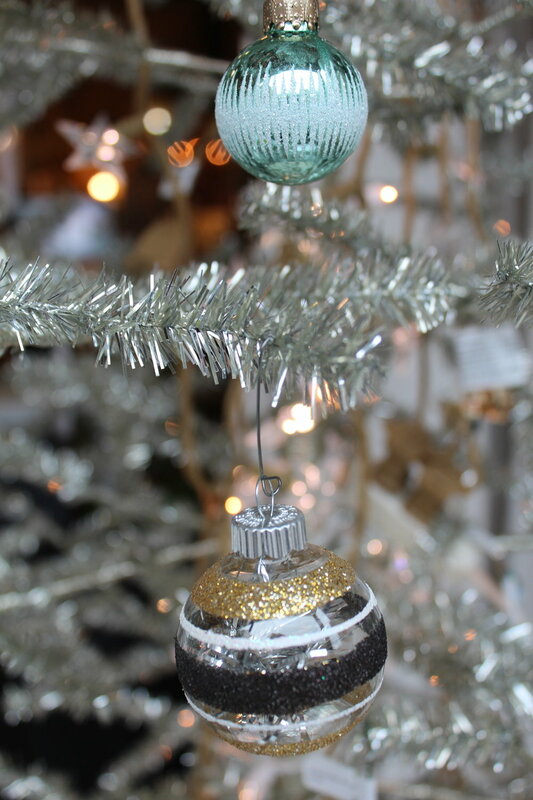 Twinkling lights adorn the silvery tree, and shiny antique ornaments nestle in the large glass bowl, creating a festive centerpiece. Come take a look before we change it (again)!